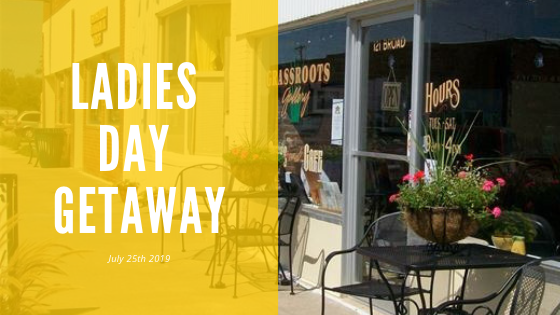 This trip is formerly known as a “Tea Room Trip” and as we have visited many of the tea rooms in Iowa the number of tea rooms have dwindled the last few years – so a new trip has been created! We will be visiting the small southern town of Humeston for our “Ladies Day Getaway” and they have been very busy planning a special day for our travelers! This small town has seven retail stores with a large variety of products and are excited to share their community with us! We will begin with a “Welcome to Humeston” morning break with coffee, tea & scones made by the Grass Roots Cafe. A style show displaying ladies clothing from Snyder’s along with some younger folks modeling with outfits from Sweet Southern Sass. A hands on project entitled “A Very Special Letter” will be created by each person followed by a lovely lunch at Grass Roots Cafe. A surprise “crafty” hands on project will be made by everyone before enjoying free time to shop and a visit to Dragonfly for wine tasting. This small community offers a nice variety for shopping opportunities that include: jewelry, clothing, kitchen shop, old fashioned candies, home decorating, kids store, quilt shop, yarn shop and so much more! Before leaving Humeston we will have a short program on “Quilts of Valor” which their mission is to cover all service members and veterans touched by war with a Quilt of Valor (QOV). Once we depart Humeston we travel to Slykhuis Twilight Tea Room located in Williamson, IA for an evening meal with a dinner salad, rolls, vegetable, pork loin and dessert with drink. Please sign up quickly as we have limited space (40) on this trip! Mark your calendar, call or email your reservations today! If the need arises a second coach will be added on Tuesday, July 30, 2019. Reservations WILL NOT be changed between coaches.